The Pottinger's signature Italian restaurant has introduced a series of afternoon treats—start from tantalising savoury bites featuring mini wagyu burger and honey mustard mayonnaise. The crisp and rosy pink bun has been carefully chosen by chef Cano to pair with the premium beef to excite the palate. Another highlight is the smoked duck breast, paired with a sweet-and-sour mixed berry mayonnaise and garnished with edible flowers, and the surprising mushroom and pork Vol-au-vent served with black truffle pate is designed to whet your appetite. Chef Cano has infused ingredients such as strawberries and green tea when it comes to the sweet side of the afternoon tea. 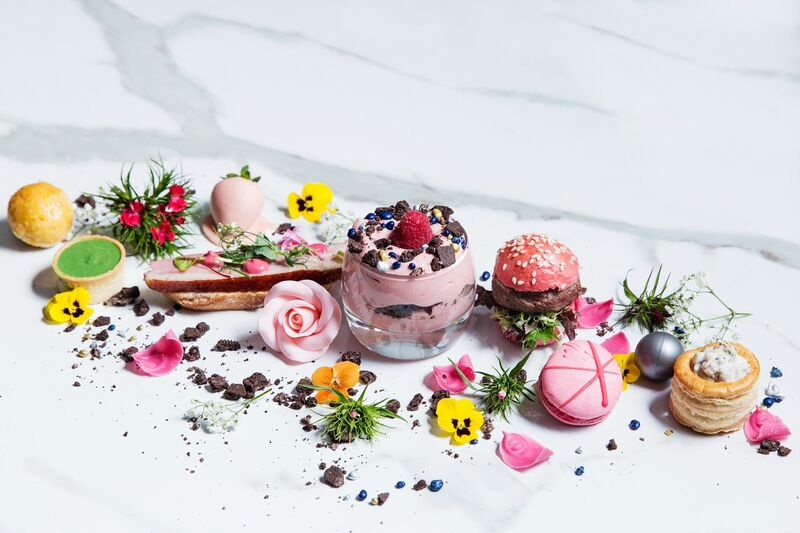 The tempting pink delights riff on the rosy theme, with velvet smooth strawberry-infused mousse, chocolate-dipped strawberries and macarons. Another highlight is the green tea tart, best eaten when still warm to savour its silky lava-like texture. In alignment with thehotel’s East meets West motto, be sure not to miss the local favourites, Hong Kong-style Sweetheart Cake (mini winter melon bun). To complement the decadent afternoon tea, every guest can enjoy freshly brewed Illy coffee or a selection of premium assorted whole-leaf teas by Tea WG. The afternoon tea is priced at HK$228 per person.